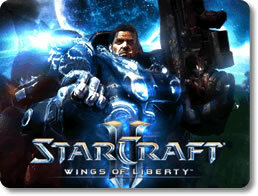 StarCraft II: Wings of Liberty Game - Download and Play Free Version! It’s been a long time coming, but StarCraft II is finally here and the series that rocked the strategic gaming world is back! Things have quieted down in the galaxy in the years following the Brood War. The Zerg have withdrawn for the time being, but it’s only a matter of time before they attack again. Until then, it’s up to the Terrans to sort their internal issues out. Said internal issues come in the form of Emperor Mengsk’s Dominion rapidly gaining power in the interregnum and ruling the Terrans with an iron fist. A small militia of rebels led by the one and only Jim Raynor form to overthrow him, but they’re about to get more than what they bargained for in the upcoming war. If you’re one of the 10 million proud owners of the original StarCraft, then you’re probably looking forward to seeing how the story continues in StarCraft II. Wings of Liberty puts you into the shoes of Raynor and lets you get a glimpse into how the universe has changed in the lengthy single-player story campaign. Complete most missions in the game in any order that you want. Make important and large-scale decisions that will change the course of the story and determine what missions you’ll receive. Deal with unique hazards in every mission. Move troops away from an impending inferno, maneuver around chasms that periodically fill up with lava, and more! Like the original game, StarCraft II features not one, not two, but three asymmetric and intricately balanced factions for you to play with. All of them have different units at their disposal, different vehicles to commandeer, and different buildings to set up. If you want to win with any of them, you’ll have to employ a different game plan. Control the Terran forces and deploy a wide variety of heavily-armed soldiers and war machines onto the battlefield. Play as the Zerg and outnumber the opposition with your massive horde of horrific aliens. 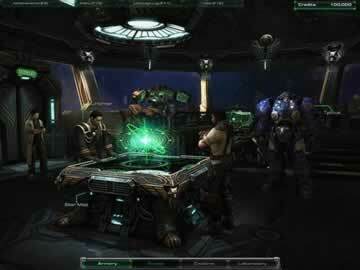 Take the telepathic Protoss to produce the most powerful units the galaxy will ever see! StarCraft wouldn’t be StarCraft if it didn’t have any multiplayer. Thankfully, Wings of Liberty delivers on that front. Now you can wage intergalactic warfare alongside and against other players with beautifully crisp three-dimensional graphics. Play in large games involving up to 12 players. Work with an alliance or by yourself. Battle cooperatively to conquer a comparatively larger and more powerful AI opponent. Enter the ranked leagues to compete with the best StarCraft players out there. StarCraft blew RTS gamers away in 1998 and its sequel is doing the same thing. It’s got everything that made the original great and a whole lot more. 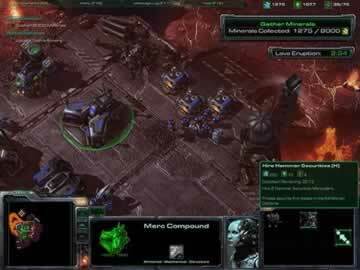 Anybody that enjoys waging large-scale battles should love this, regardless of whether they’re a StarCraft veteran or a rookie that’s fresh out of training.